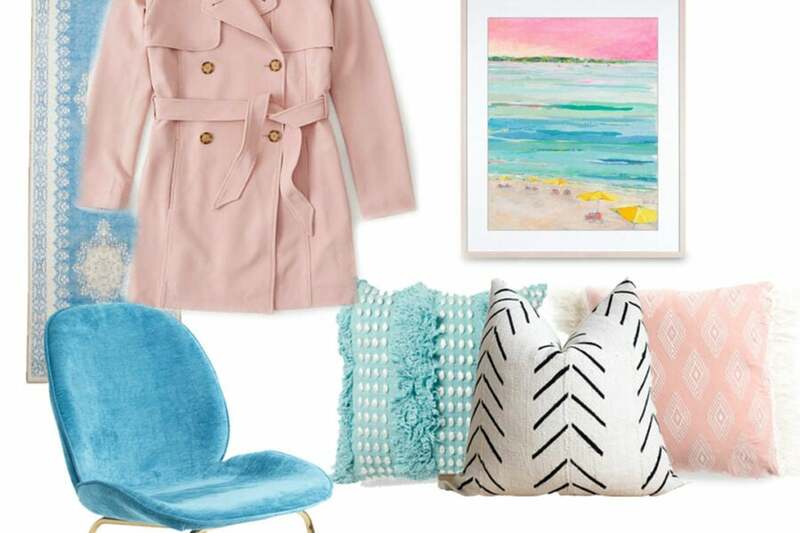 Are you dreading Valentine’s Day? I know for many people Valentine’s Day can be a time of sadness, loneliness, and utter frustration. Have you recently suffered the loss of a loved one or gone through a painful breakup? I’m here today to encourage you. There is a Mighty God out there who loves you unconditionally, no matter what! So if you feel like giving up, if you feel like no one loves you – you’re wrong. 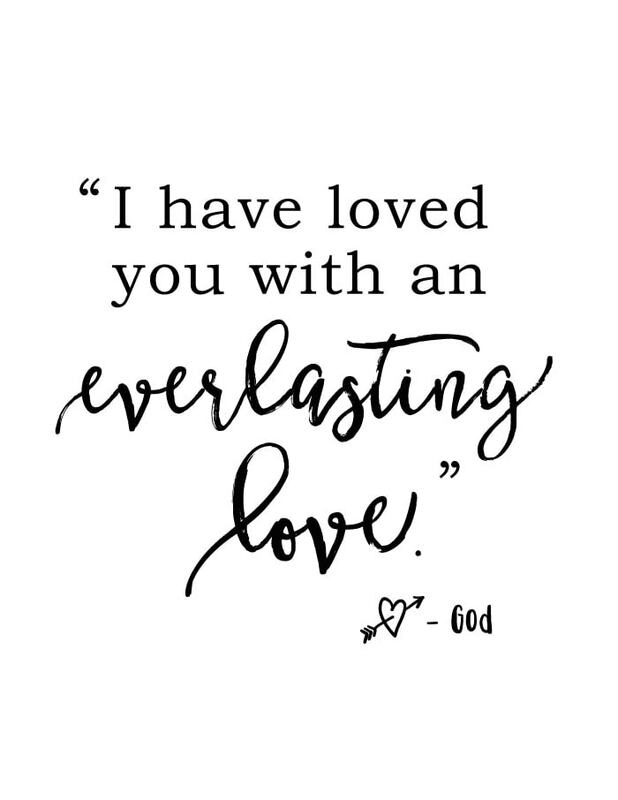 God loves you with an everlasting love. You know what that means? Even if you’ve turned your back on Him a million times and haven’t been to church since you were knee high to a grasshopper. God still loves you. yesterday. today. and tomorrow. 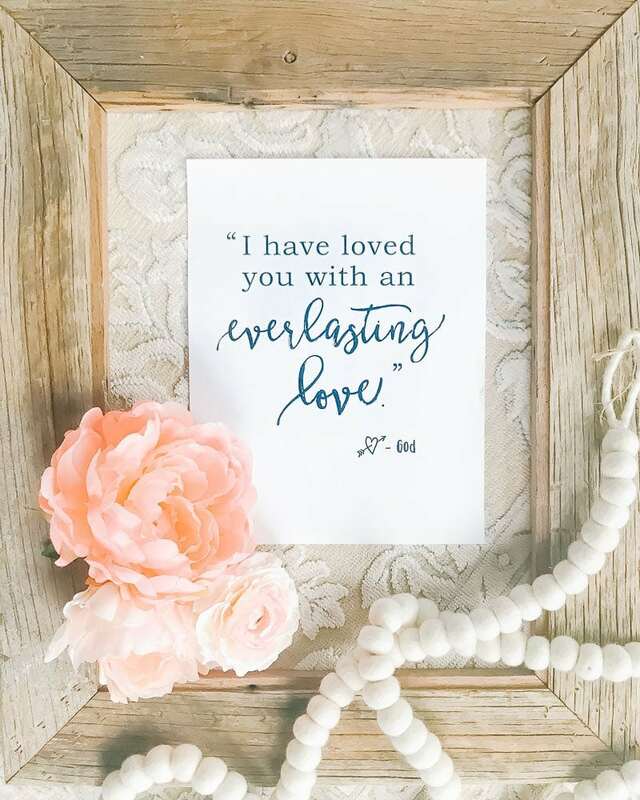 I’m sharing a free printable to remind you of God’s love. Print it out, washi tape it to your wall or hang it in a nice frame. 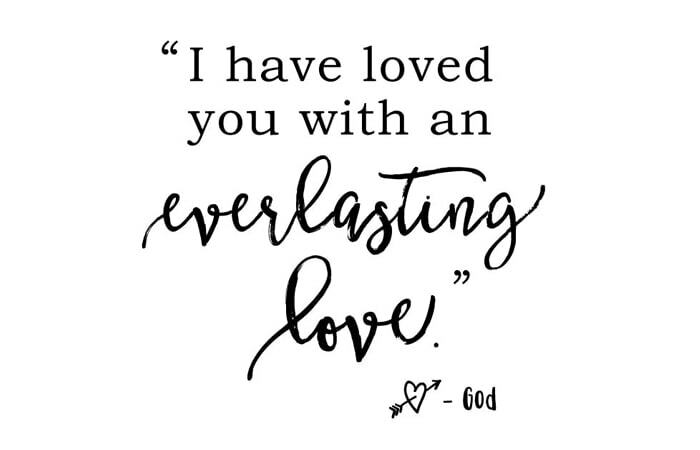 God will never stop loving you! I’ve created four colorways – if you’d like it in a different color just say so in the comments and I’d be happy to email you a custom version. 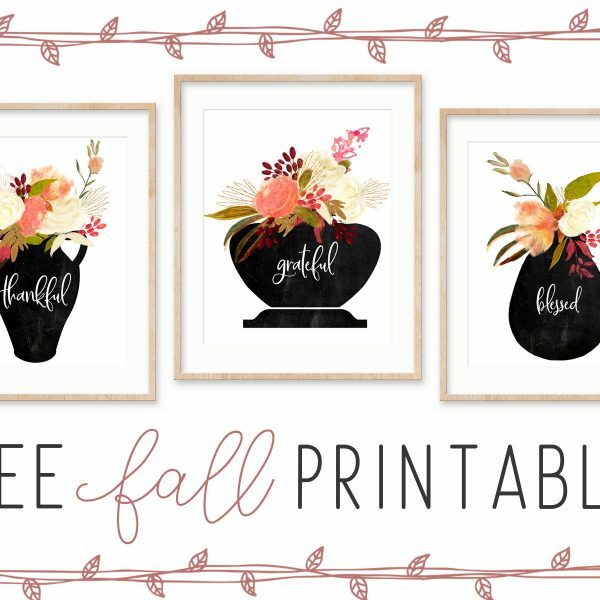 If you need help on how to print printables, Michelle (from Elegance & Enchantment) offers a great tutorial here. UPDATE: This post was first published in 2016, but I wanted to repost it for all my new readers. And remind everyone that you are loved! 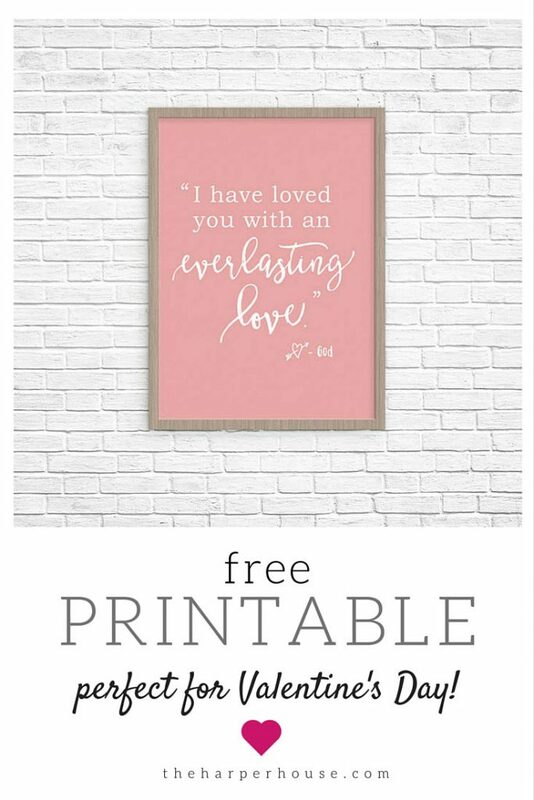 Love the printable and the reminder of just how much we are loved and the mere fact that we are never alone. Thanks for the inspiration, too! Thanks so much for visiting Pam! It’s good to know we’re never really alone, isn’t it? Such an awesome feeling knowing God is out there loving us no matter what 🙂 Have a great night! So excited to read your words again! Looking forward to following you regularly and seeing where this takes you! Congratulations on your printable art Christy! 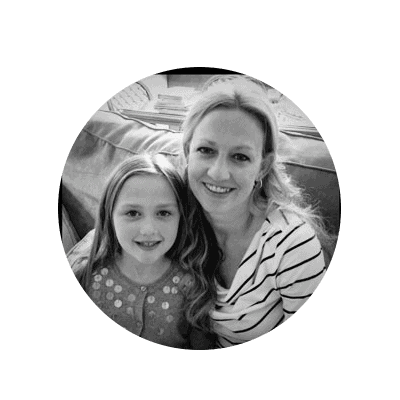 I just launched my blog yesterday and I’ve been trying to learn everything over the past 5 weeks. But I set a date and had to leap! 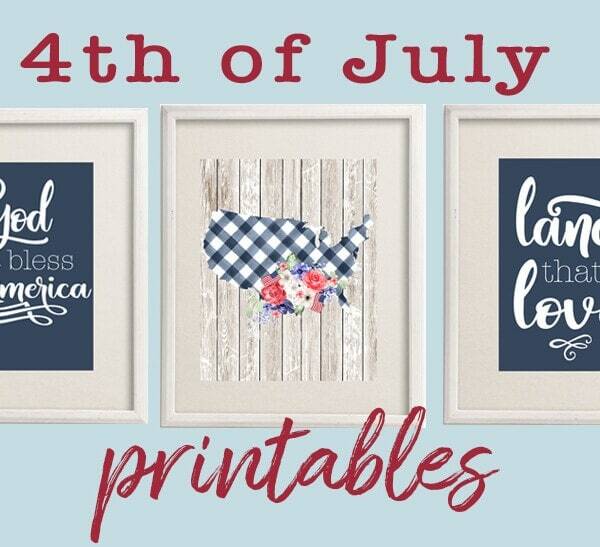 I love the printables, they are so wonderful. I appreciate you sharing the link to the site that helped you. I found you on the Framework FB page. I just shared it to my Facebook page, your accompanying message is a great testimony of His everlasting love. Thank you! I found this post through a link from tater st and jello. It seems like I am always single at Valentine’s Day. :(. I try to use it to celebrate all kinds of love. 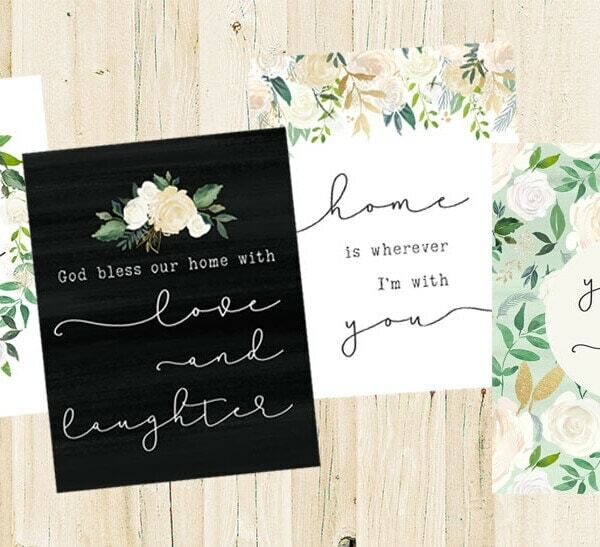 I love these printable because using it to celebrate Gods love is the best of all! And that will never change no matter what the status of my love life! 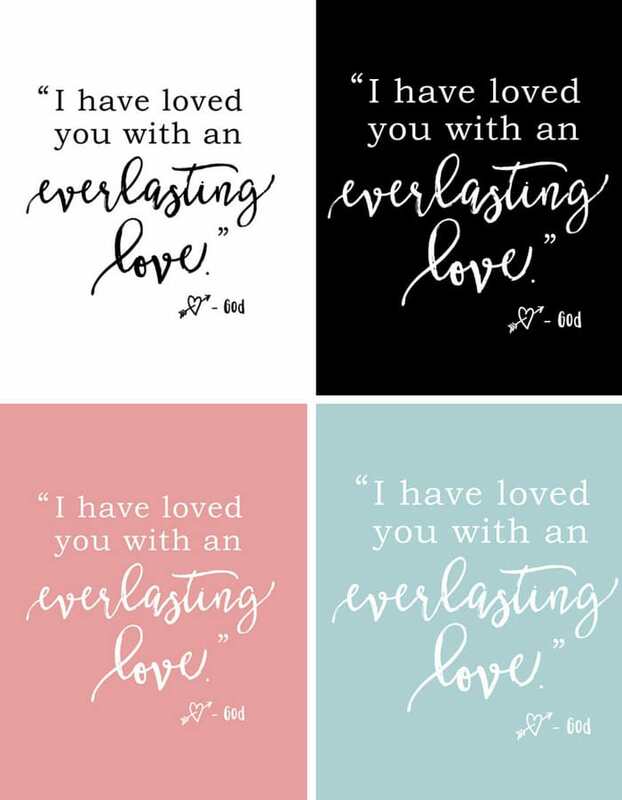 I’m going to print one of these and then make one of my own based on the love is patient scripture. Thanks for the printable and the inspiration! You’re welcome Jessie! 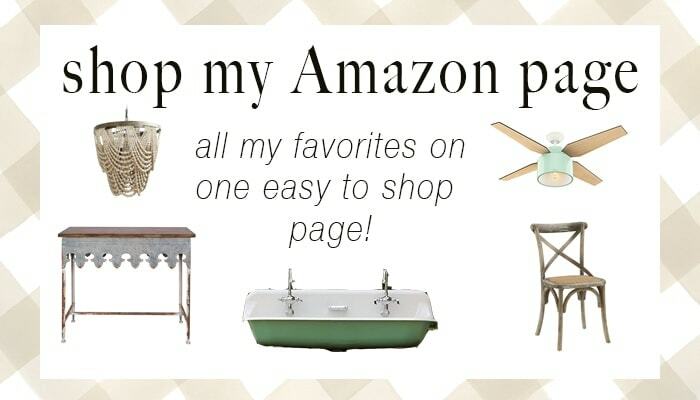 thanks for visiting – have a great day! 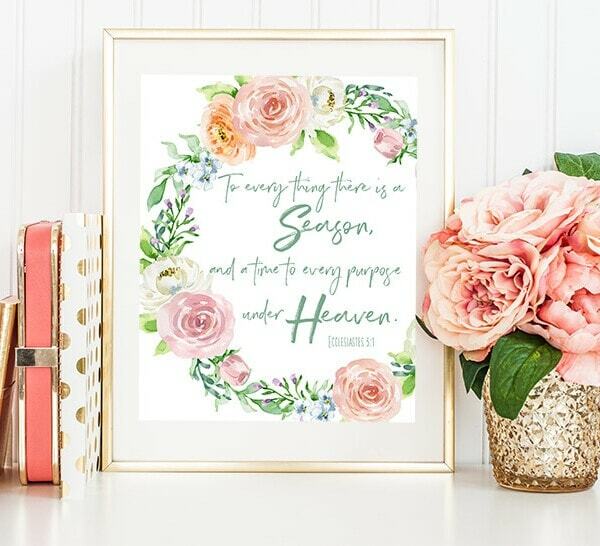 Love the printable and the message behind it! So glad you shared. Thank you for sharing your faith. I miss-typed that a minute ago and typed our faith. It is OUR faith. I don’t share as much as my heart feels. Thank you for showing the way to bless others with what we have been blessed with.